In the age of online fundraising, crowdfunding has powered everything from individual projects on Kickstarter to nonprofit-driven campaigns on Classy. One thing remains clear across the board: the practice of pooling small amounts of money from large communities can change the world. Here are three crowdfunding campaigns whose ground-breaking ideas were made possible through the contributions of an online community. Around the world, 1.5 million children die every year from diseases that can be prevented by vaccines. Health workers who lack community-specific information often fail to bring needed vaccinations to immunization camps, mothers are often uneducated about the importance of vaccinations, and organizations lack the real-time, patient-specific data they need to identify the right medications for the right babies. To solve this issue, a group of Yale undergraduate students started Khushi Baby to create a necklace with an inexpensive chip that holds a child’s entire vaccination record. First funded through a Kickstarter campaign, the team went on to win Yale’s 2014 Thorne Prize for Social Innovation in Health. 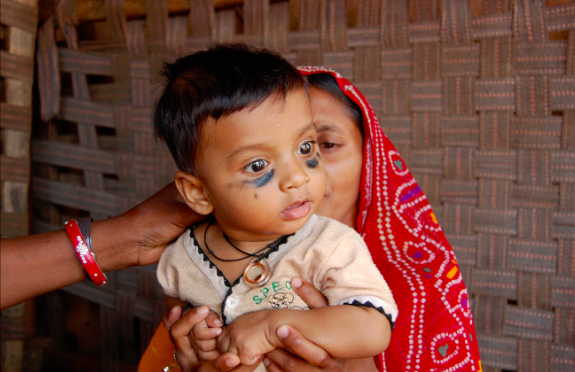 Healthcare workers simply scan the Khushi Baby necklace with a smartphone to see which vaccinations the baby needs. As the data is available via the cloud, organizations and health officials can access records for entire regions in real time. Among emerging inventions that showcase the power and pace of technology, the Oculus Rift takes it place at the front. The virtual reality (VR) headset creates immersive 3-D experiences for video gamers, essentially placing users directly inside of the game. Its inventor, the then-17-year-old Palmer Lucky, pieced together a prototype in his parents’ garage and launched a Kickstarter campaign in 2012 that raised more than $2.4 million from over 9,000 backers. 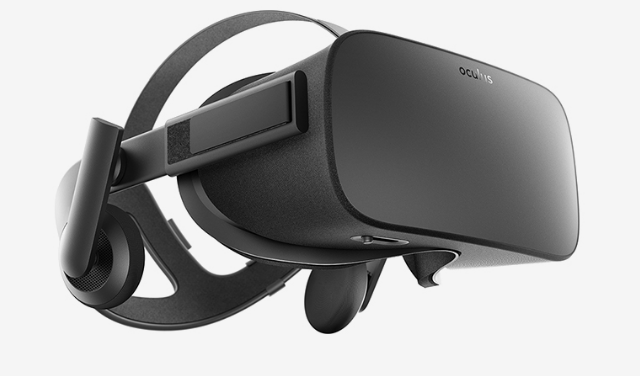 In March 2014, Facebook bought Oculus for $2 billion, and the first headsets began shipping in late March 2016. Though several VR products are on the rise, the Oculus Rift is the first high-quality, relatively low-cost product that eliminates motion sickness for users. But this technology promises to go beyond just the gaming industry. It’s a compelling tool to advance social progress. As filmmakers leverage VR technology to bring stories of social change to life, Oculus has kicked off their VR for Good initiative and launched two VR film programs to encourage high school students, filmmakers, and nonprofits to tap into the power of VR storytelling. In 2011, 16-year-old Boyan Slat was diving off the coast in Greece when he discovered an outrageous number of plastic bags in the ocean. While writing a high school science paper, he developed the idea for a passive water system that would leverage the ocean’s currents to naturally clean itself. He introduced the idea at a TEDxTalk in 2012, which went viral and led to a successful crowdfunding campaign that brought together scientists and engineers to further develop the concept. 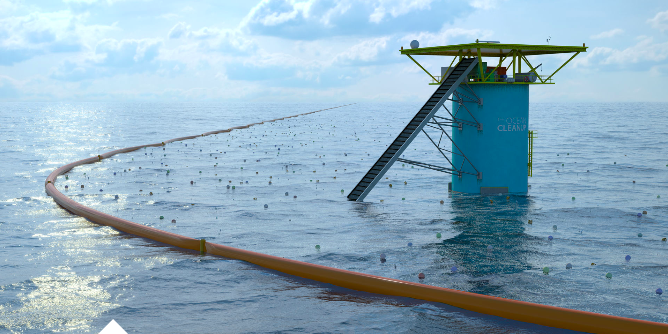 Slat founded the Ocean Cleanup in 2013, a foundation working to eliminate plastic pollution in our ocean waters. In 2014, he started another crowdfunding campaign that raised over $2 million to build a prototype, which is expected to extract about half of the Great Pacific Garbage Patch—a gyre of debris also known as the “Pacific trash vortex”—in 10 years. The practice of pooling money has the power to turn mere ideas into tangible solutions, but this isn’t limited to just crowdfunding projects. Nonprofit organizations can leverage crowdfunding to power anything from programs to operational costs. Check out how you can launch a beautiful, modern-looking crowdfunding campaign to activate your fundraising community and serve your cause.